The next ACMRS Fearless Females series program focuses on one of the first female scientists, Maria, the Jewess also referred to as Maria the Prophetissa and Maria, Sister of Moses, whose inventions and designs of equipment are used in laboratories today. 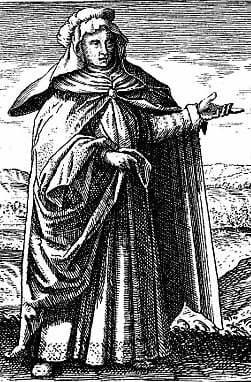 Considered the founding mother of Egyptian/Hellenistic alchemy (today’s chemical engineering), references to her appear as far back as ancient texts. She was an alchemist AND an engineer experimenting with chemical reactions (not transmutations); founded an important school of chemistry but her most famous invention outside of the laboratory, the “bain marie” or water bath, is used in kitchens throughout the world today. Dr. Kirstin Hendrickson is a popular senior lecturer in the Arizona State University’s Department of Chemistry and Biochemistry with a strong background in organic chemistry, zoology and psychology; before joining ASU was an Assistant Professor elsewhere in Arizona, where she taught a variety of science courses. She is the author of a science textbooks, has published several articles in scholarly journals, has written articles about science for popular media sources, including Scientific American, blogs about evidence-based decision making, and was recently a guest lecturer at the ACMRS Scholar Series at the DaVinci Exhibit, Arizona Science Center.